A brand new 2 bedroom apart close to the beach in Alcaidesa (discounts of up to 33%). Don''t miss out as the Developer has reduced the price of some of these fabulous apartments. Two bedroom apartments now discounted by up to 33%. Ask us for availability. 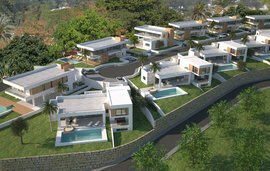 This new development is located in Alcaidesa just a few minutes drive from Sotogrande. It is close to the beach and has beautiful views of the Mediterranean Sea and Gibraltar. There are 2 and 3 bedroom apartments to choose from with either terraces on the first floor apartments as well as a spacious solarium and the ground floor apartments have a terrace and spacious garden. All apartments have a fully equipped kitchen, a spacious living/dining room area and two bathrooms, there is a bath in the main bathroom and shower with screen in the second bathroom. They have marble flooring throughout the apartments. There are two parking spaces included in the price as well as a storeroom. It is also possible to acquire the property fully furnished. The complex has two swimming pools and communal gardens. 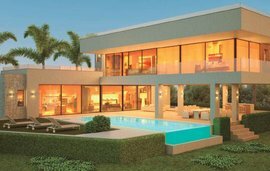 Alcaidesa is one of the most popular residential areas in Campo de Gibraltar, located between San Roque and La Linea de la Concepcion and close to all amenities. It also has two golf courses which makes it the perfect choice for golfers. There are also well kept beaches and a variety of restaurants in the area, it is perfect as a holiday home or as a permanent residence.